Chakra with five spokes; in the space between spokes, legend in ancient Kannada characters Shri Do sha ra si. Ancient Kannada Legend Sa sam kah. 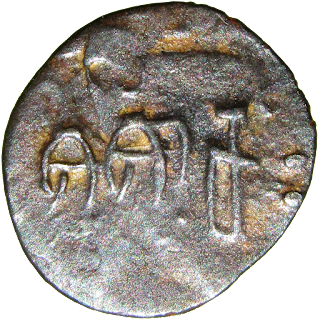 Coin of Kadambas of Banavasi. Both sides has ancient Kannada inscription.